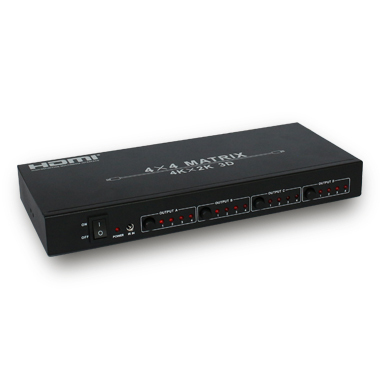 The 4 by 4 Matrix simultaneously routes four HDMI sources to up to four different displays using HDMI cables for direct connection. It supports up to 16 different EDID configurations to meet most of use cases. Flexible control through on-panel buttons, IR remote control or RS-232.